Three-egg clutch laid by red-cockaded woodpeckers within the Great Dismal Swamp National Wildlife Refuge around 3 May, 2017. Conservation partners are celebrating the first successful breeding of the endangered red-cockaded woodpecker within the Great Dismal Swamp National Wildlife Refuge. 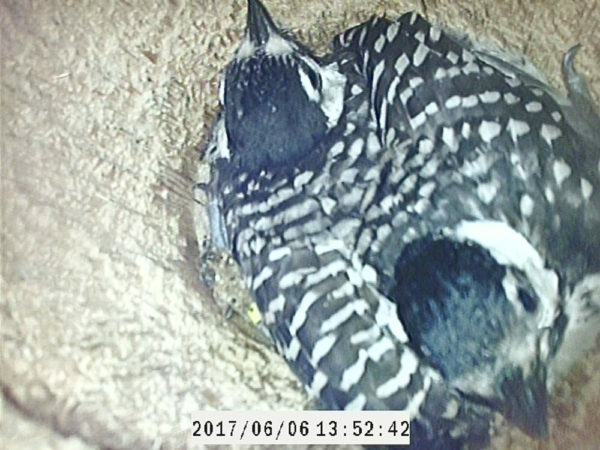 Two young woodpeckers were banded on the 20th of May and flew from the nest cavity during the second week of June. 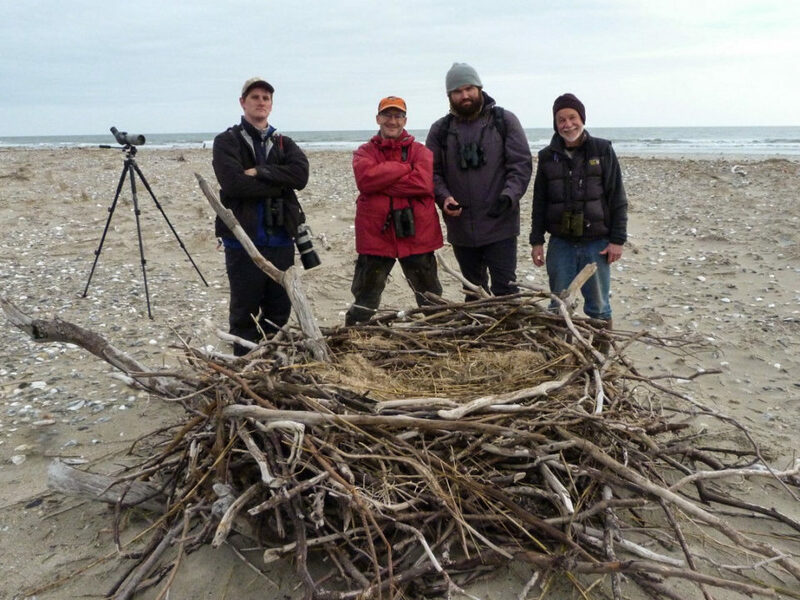 This event represents a milestone in an ongoing effort to establish a breeding population within the refuge. A total of 18 woodpeckers were moved into the site during the falls of 2015 and 2016 by a broad coalition including several units of the U.S. Fish and Wildlife Service, the Virginia Department of Game & Inland Fisheries, The Center for Conservation Biology, The Nature Conservancy, and many volunteers. Three-egg clutch laid by red-cockaded woodpeckers within the Great Dismal Swamp National Wildlife Refuge around 3 May, 2017. Photo by Bryan Watts. Similar in appearance to downy and hairy woodpeckers that are widely recognized and common “backyard” birds, the red-cockaded woodpecker has a much more specialized ecology. 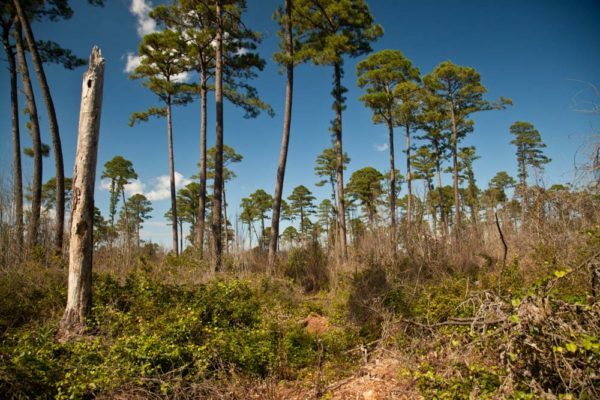 Red-cockadeds require old-growth pines and are primarily associated with fire-maintained pine savannahs of the Deep South. The shift to shorter rotation forest management and fire suppression virtually eliminated their historic habitat and ultimately led to their federal listing as endangered in 1970. Brood of woodpeckers just after hatching on 13 May, 2017 within the Great Dismal Swamp National Wildlife Refuge. Photo by Bryan Watts. Red-cockaded woodpeckers in southeastern Virginia currently represent the northernmost population known. Throughout the latter half of the twentieth century this population experienced a catastrophic decline, reaching a low of only two breeding pairs by 2002 (read more about their population decline in Virginia, Watts and Bradshaw 2005). Heroic efforts to save the species on the only remaining site (the Piney Grove Preserve owned by The Nature Conservancy) have stabilized and increased the population to 14 breeding groups. 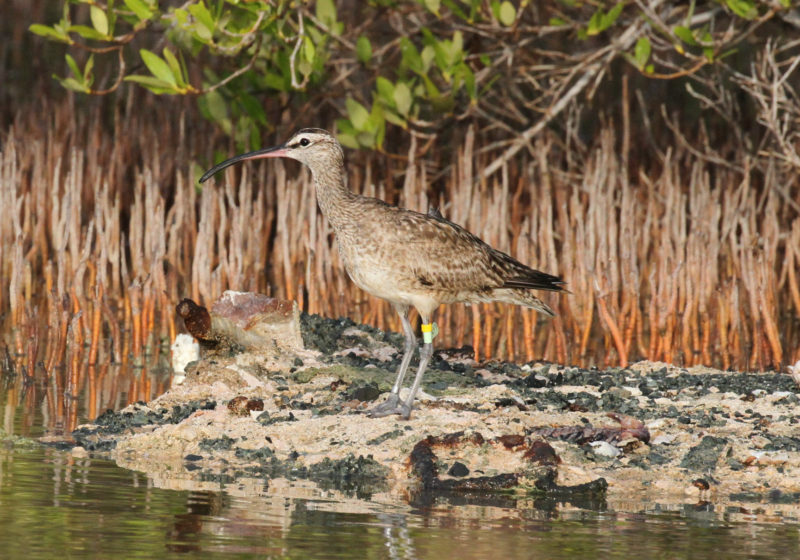 However, there has been ongoing concern from the conservation community about the risks of relying on a single site that could be destroyed by a hurricane or other natural disaster. Establishing a second breeding population within the state has been a stated priority for more than a decade (read more about Virginia recovery objectives,Watts and Harding 2007). Two surviving young woodpeckers on banding day (7 days after hatching). Photo by Bryan Watts. Early in the year the likelihood of breeding within the swamp seemed like a long shot for 2017. 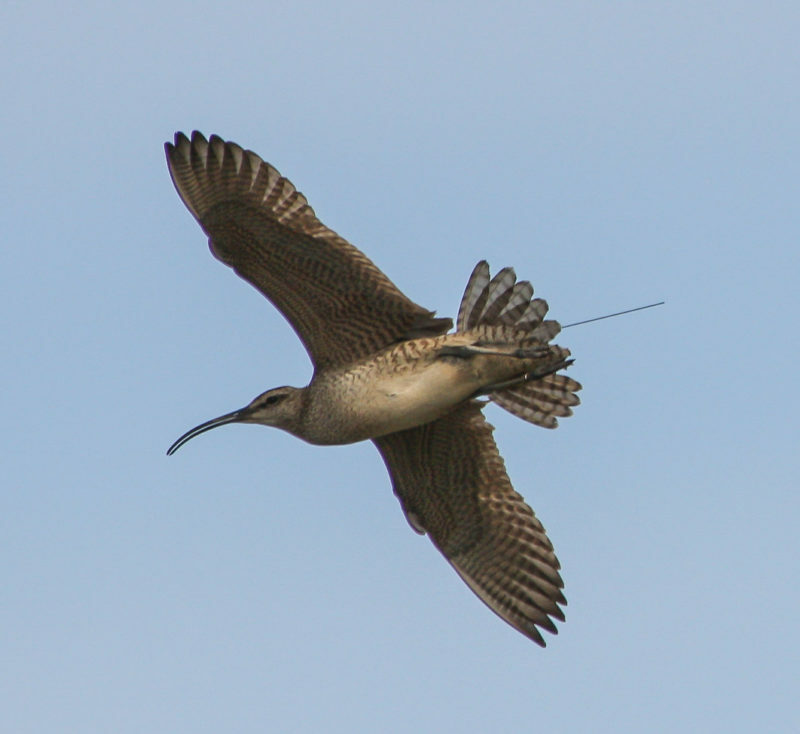 During the run up to the breeding season only five of the eighteen birds that had been moved from other populations remained within the refuge, including two males and three females. 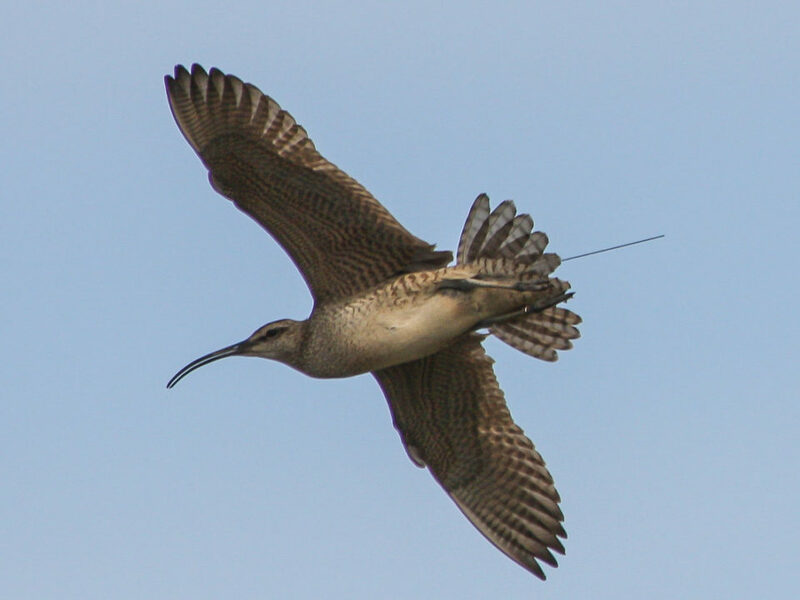 All of these birds were isolated from each other in scattered sites. 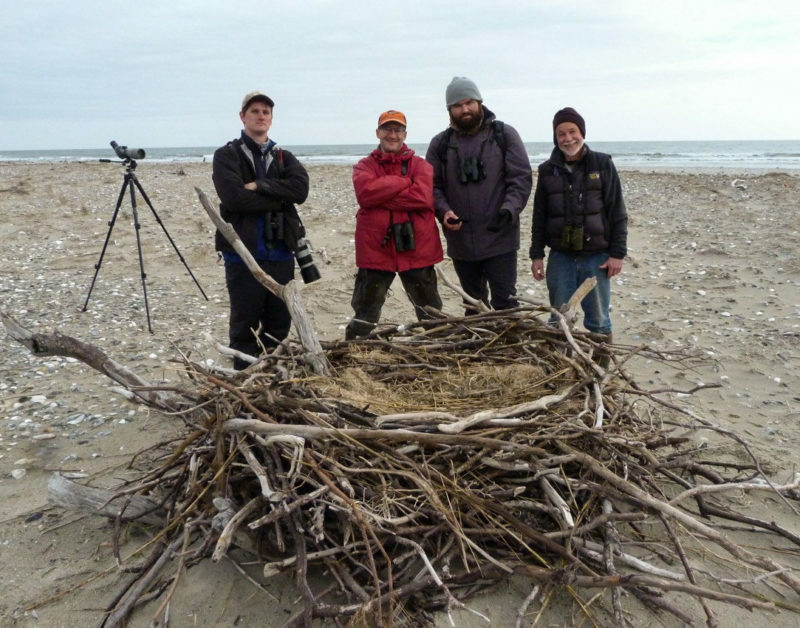 By early May birds had formed two breeding pairs and soon each had laid three-egg clutches. 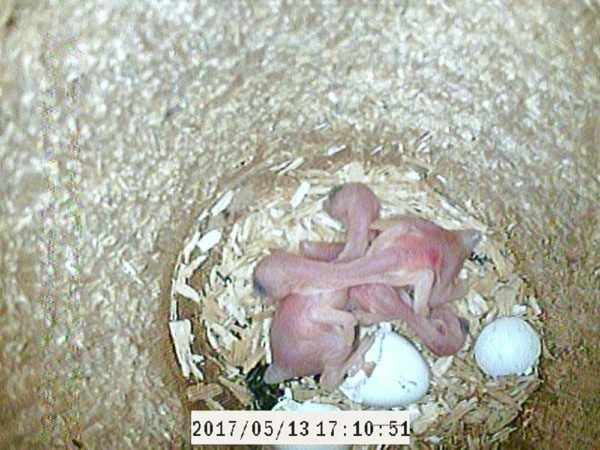 All three of the eggs from the first clutch hatched on 13 May, but only two of these young survived to be banded on 20 May. One of the two birds was grossly underweight, weighing just over half as much as the other bird. 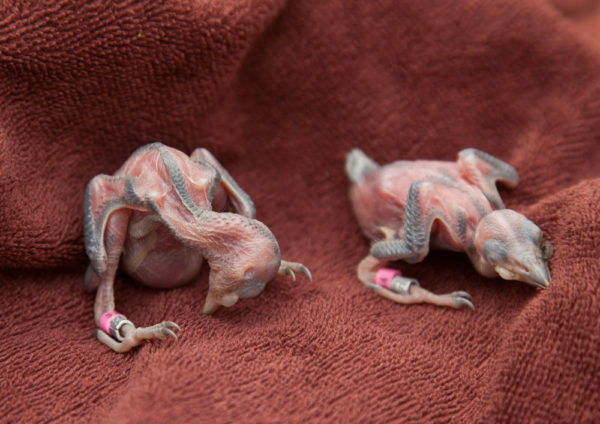 A check on these birds when they were 20 days old revealed that they were both doing fine and both were females. The young birds were observed with the adult pair flying tree to tree foraging when they were approximately ten days out of the cavity. 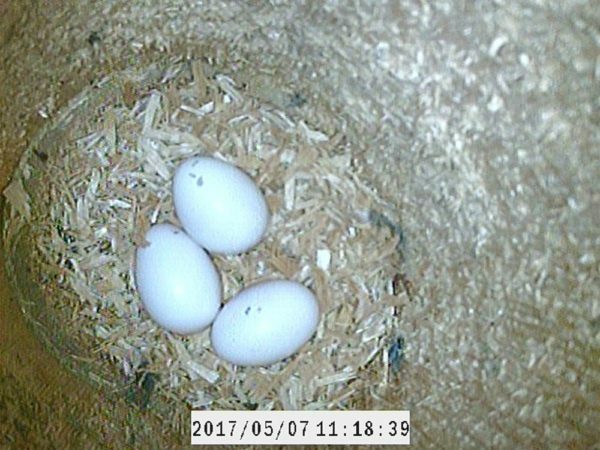 The three-egg clutch laid by the second pair disappeared just before hatching (likely taken by a predator). Two surviving young just one week before fledging. Photo by Bryan Watts. Successful breeding of red-cockaded woodpeckers within the Great Dismal Swamp during the 2017 season represents a small but significant step in the long recovery of the species along the northern fringe of its breeding range. 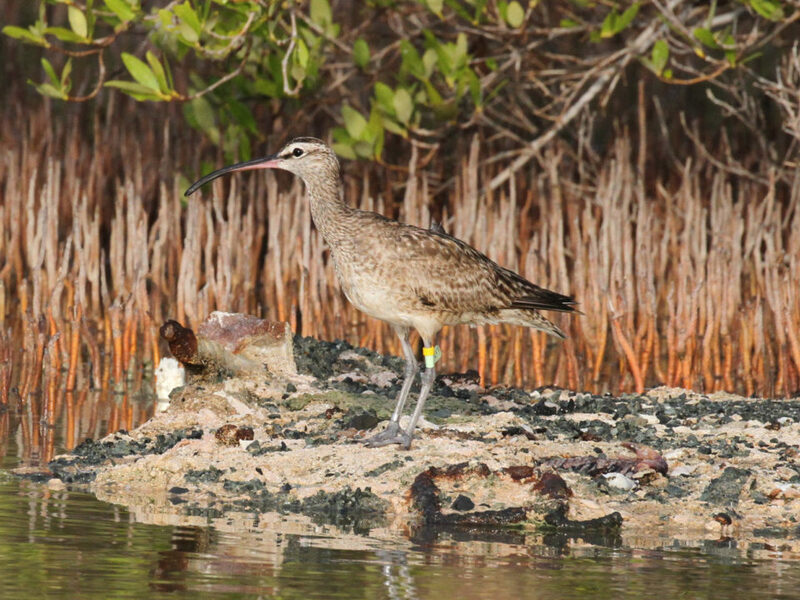 Having the two locally-produced females making their way in the habitat of the swamp increases the population and is a real win for the conservation partnership dedicated to recovering this unique species. Pine habitat within the Great Dismal Swamp National Wildlife Refuge woodpecker introduction area. Photo by Bryan Watts.